#200. El Capitan. 24 x 36, oil on canvas. "Gilbert Munger, 1876" lower left; "El Capitan, Yo Semite Valley, Gilbert Munger" on back. 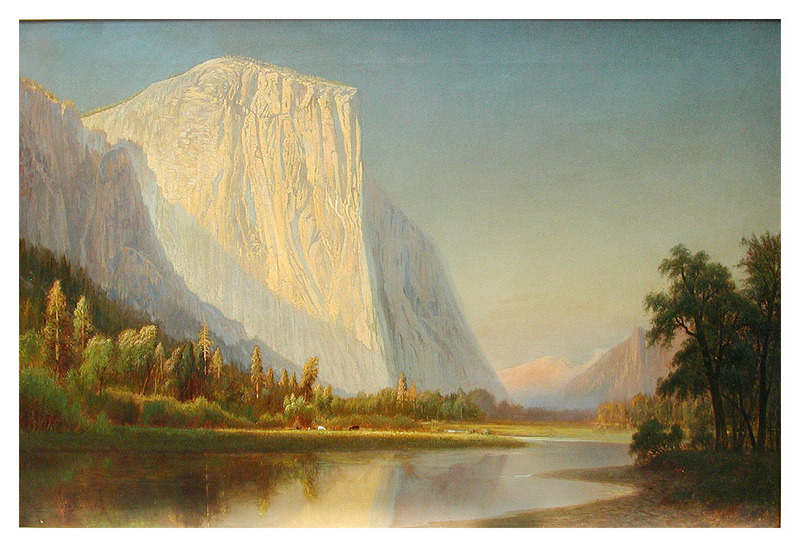 Sold at Bonhams & Butterfields "California and American Paintings and Sculpture" auction of 10 April 2006, lot 1145, for $150,000 + 15%.The great grandfather of the consigner bought this painting from Gilbert Munger, specifying according to family lore that the river be "a little wider." The stretcher has a sticker from Goupil & Co, Fifth Ave and Twenty Second St. This label was being used by M. Knoedler & Co in New York City in the 1870s. 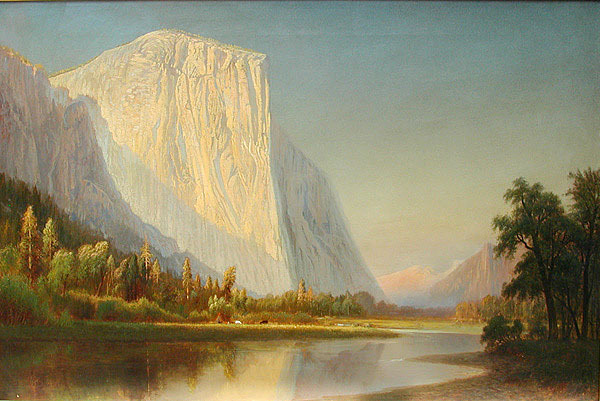 The same pale white treatment of El Capitan appears in paintings #106 and #185. Image from author's digital photo.